A blind man, Shaibu Ibrahim, 26, on Tuesday dragged Shehu Sarki, another blind man to a Grade 1 Area Court, Aso Pada, Mararaba, Nasarawa State. News Agency of Nigeria reports that Ibrahim accused Sarki, 32, his friend and the chairman of the blind peoples’ association of the area of allegedly enticing his wife, Lami Ibrahim, 23. He said, “Sometime in June, our chairman, Sarki, helped me to get a woman, Lami, for marriage. “After our marriage in July, Sarki later enticed my wife and took her away from my house. The offence was said to have contravened Section 389 of the Penal Code, and if convicted, the accused could spend two years in prison. 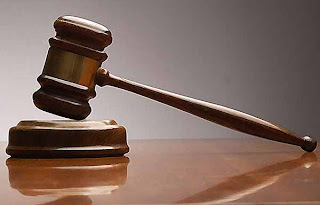 The presiding judge, Mr Albert Maga, granted the accused person bail in the sum of N20, 000 and a surety in like sum. He adjourned the case till September 9 for hearing.